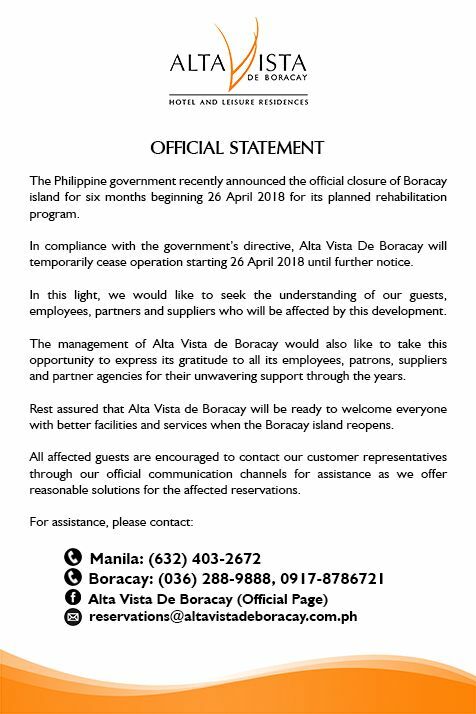 Alta Vista De Boracay will be complying with the Philippine Government’s plan to rehabilitate the island of Boracay effective on the 26th of April, 2018 until further notice. We’d like to give our humblest regards and warmest gratitude to all our guests and staff. Guaranteed that we will be preparing to welcome everyone as soon as the island reopens!